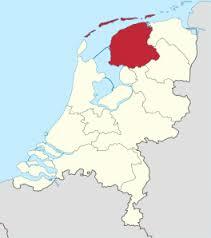 In the Dutch county Friesland Makkum is famous because of the Royal Tichelaar pottery factory. In second place, in the past, for pottery activity and factories came Workum. 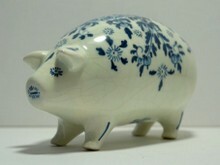 For long time I had the idea that this was the complete list of Frisian earthenware and piggy banks. But new insights made it clear to me that there were many, many small pottery factories between Leeuwarden and Makkum. Small factories that are not mentioned in literature, archives, etc; and the ‘important ones only as a foot note. The only way to get some information is to speak to (or e-mail to) people who knew (or know people who knew) the particular potter. 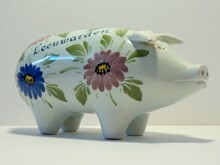 I obtained two piggy banks in this category: one by Hendrik Bouma from Midlum and one by Jan Pleysant from Leeuwarden. Both piggy banks are from the 1960ies.